This entry was posted on Wednesday, May 2nd, 2012 at 8:06 pm	and is filed under Battersea, Covent Garden, London, Vauxhall, West End. You can follow any responses to this entry through the RSS 2.0 feed. You can leave a response, or trackback from your own site. 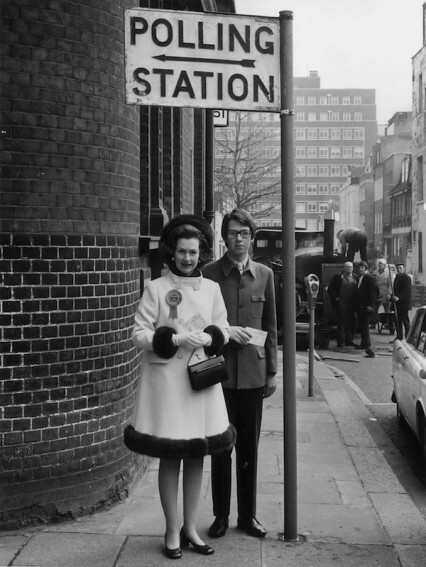 I first read about this in Roy Porter’s fab book about London. It beggars belief really, doesn’t it? 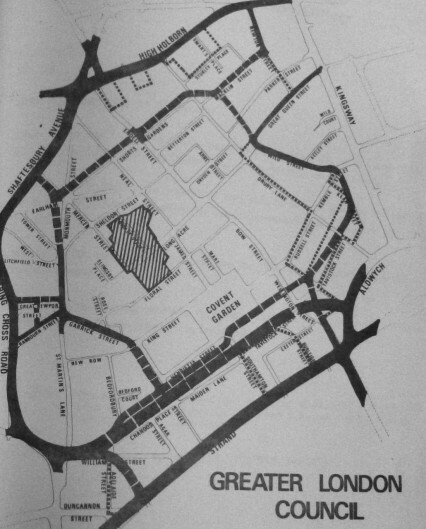 That part of London could have ended up looking like downtown Birmingham circa 1970. From my extensive research (i.e. 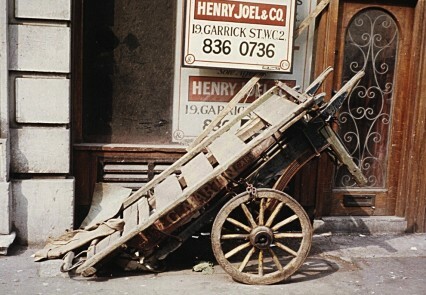 a quick Google-noodle) I believe 33 Neal St is now a Pepe’s Jeans. The quote from Crosland’s book applies just as fully today. And perhaps the much-maligned Raine Spencer can be viewed more sympathetically in light of her willingness to listen to local opinion & change her mind? 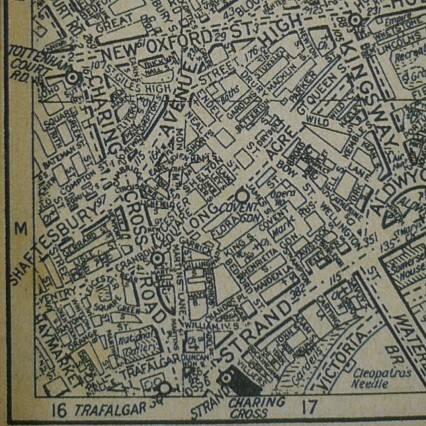 Walking through the Covent Garden area last weekend I was telling my kids how it nearly became a motorway. Hard to believe. Yet walking along Long Acre for the first time in years, I hardly recognised it. 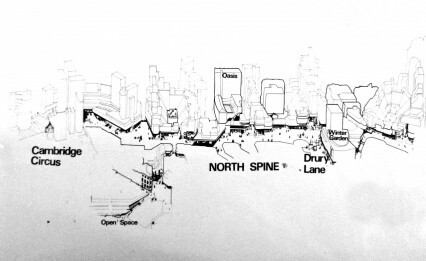 In many ways, like it or not, a lot of area now resembles the infamous plans in its bland appearance. I know exactly what you mean John. I was thinking exactly that when I was looking at all the old photographs. 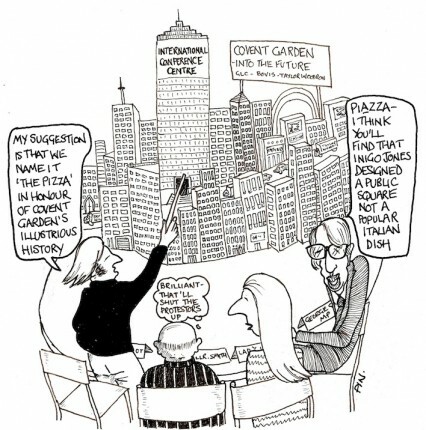 Although I expect if the plans had gone through the whole place would have had to be redeveloped a second time. 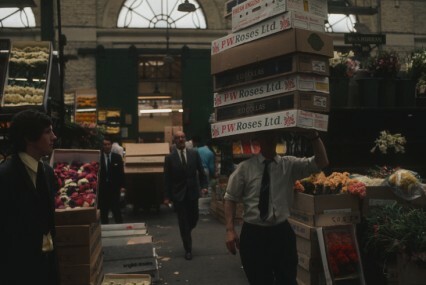 As a horticultural student in 1970 our course went on a visit to the market to track the marketing progress of the mushrooms and cut flowers we grew at the college. I remember the atmosphere of the place, a bit scary actually, and naturally being students getting an early pint of beer in at one of the pubs. Sadly the college while still in operation no longer has the commercial glasshouse range or runs the course. Have you seen Hitchcock’s Frenzy? It seems a scary place in the film. and “The Greater London Council” map. 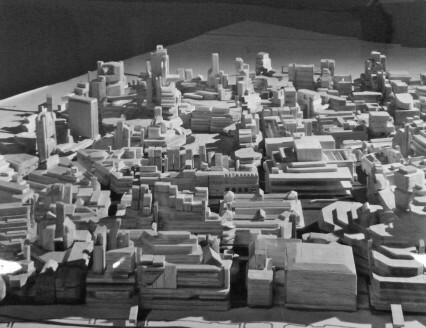 This would be much appreciated, as I am building a 3d model of the redevelopment plan for an animated research project. 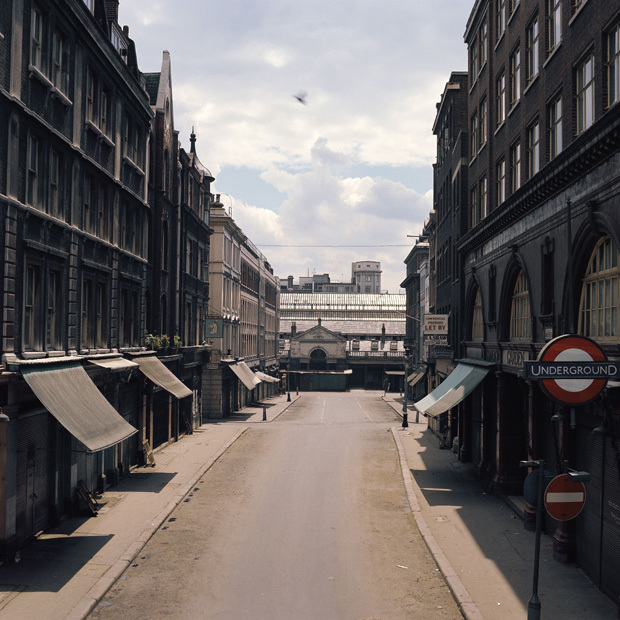 I don’t suppose you know the precise location of the photo labelled ’11th November 1974: The old Covent Garden fruit, vegetable and flower market lies deserted at its Covent Garden site’? The artist Edward Bawden made at least three prints of covent garden, one of which is referred to as the flower market and shows what is now the transport museum, one is called the floral hall and I assume is located where the name suggests but the third is referred to as the foreign fruit market and shows the the market in the photo. 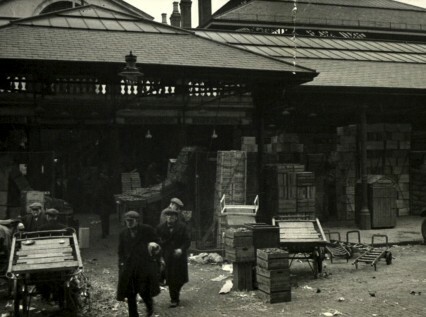 Having visited present day Covent Garden I can’t seem to located this site with it’s distinctive triangular roof, do you know if it was torn down? Very interesting article. 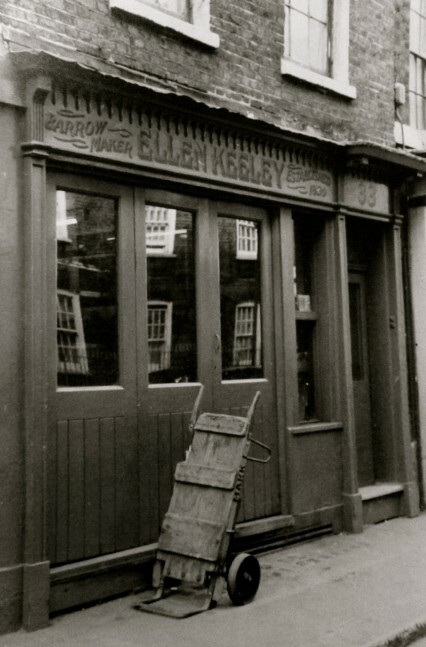 We rented 62 Neal Street for 25 years as our offices for H.G Wolsey. Some barrows were stored opposite our offices. We were next to a barbers (Cypriot Andrew), The street was lively and noisy with barrows and lorries loading and unloading. Our building was 4 floors including a basement which we used for stores. At our peak we had 40 staff including office staff. 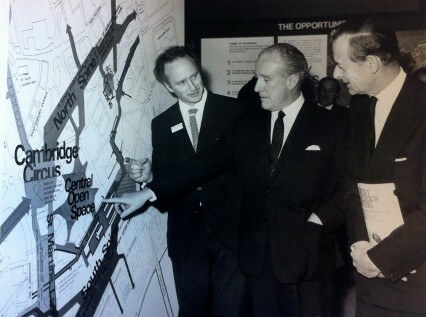 When the redevelopment was announced. The GLC bought our building from under us – we’d been there 25 years as tenants and we weren’t even offered the option to buy. We eventually moved south of the river to Camberwell. My daughter remembers Newmans chocolate shop in Neals Yard and the café in Shaftesbury avenue (Italian) and café 5 doors down. 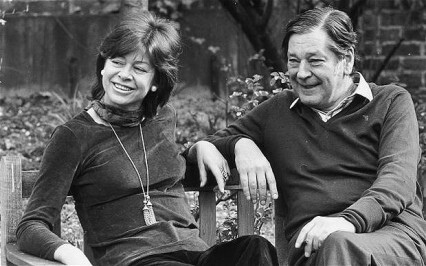 She used to walk from Neal Street along oxford street to Regent Street to do our banking. Terrific piece. Was Betjeman involved in the opposition to this philistine scheme? 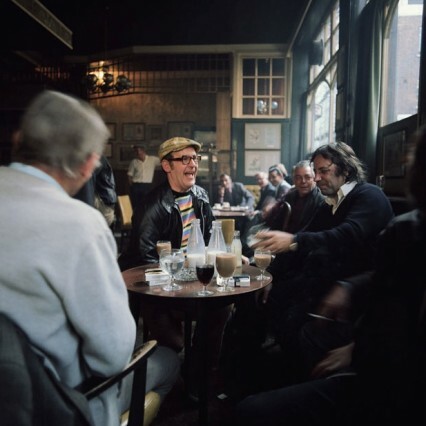 And less importantly – any idea what most of the traders are drinking in the photo from the Nag’s Head. Looks a bit like tea out of wine glasses with all those milk bottles around? I actually live in Covent Garden. Have done for 10 years and was thoroughly shocked at seeing what the proposals were for the market. I know how greedy Westminster council is and I feel they have no heart or soul if they had gone through with it. The beautiful buildings and history of the place. Don’t forget that a lot of tourists come to London for these reasons. 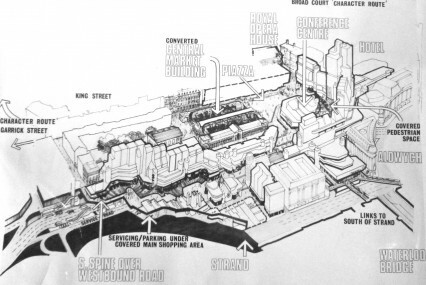 Would so many be coming now, if Covent Garden looked like 1 giant concrete car park? I don’t think so!! Thank God the greedy, insensitive people lost. 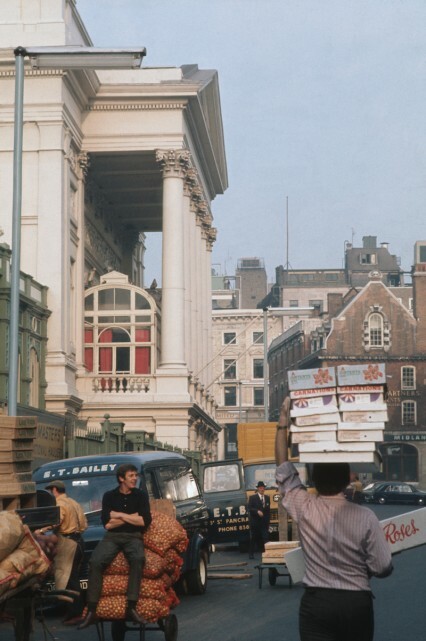 Long live Covent Garden for hundreds of years to come. 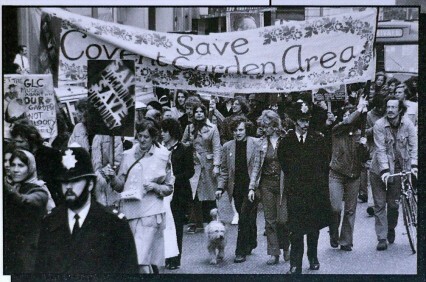 If you want an alternative to the conservation project to save Covent Garden, try Brian’s Anson’s “I’ll Fight You for It! 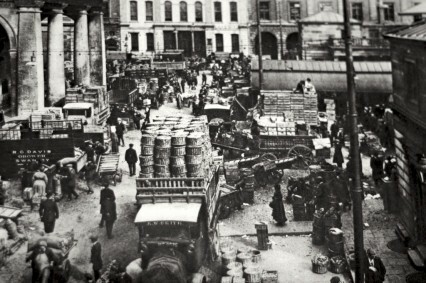 : Behind the Struggle for Covent Garden” (ISBN 13: 9780224017954) Anson recounts his experience as former GLC planner, his rebellion and work in the working-class community’s doomed attempt to preserve their way of life. Incredibly rare and expensive if you wanted to buy it, but the British Library have a copy. 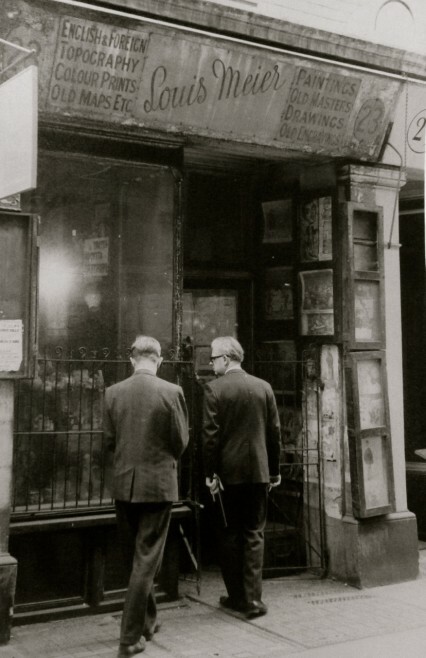 33 Neal Street used to have a boxing ring in the basement.John Contis corner man John(Nutty)Phillips lived with his family at 37 Neal St.We lived at 1 Shorts Gardens.A magical place where everyone had a nickname. 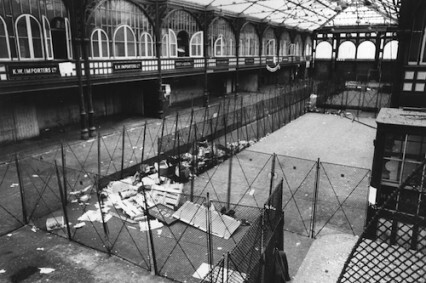 My great grandfather Bill Phillips used to rent out stalls outside the Coliseum for people to sit on whilst waiting to get in. 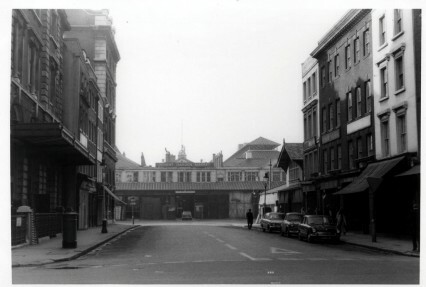 For an idea of what CG would look like see The Travel Lodge on Drury Lane which was the first of the development – its underground car park was originally excavated as a road tunnel and then aborted. 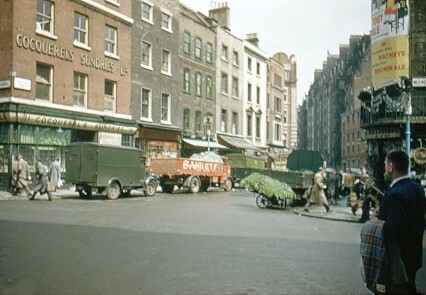 Really interested to read about this history of Covent Garden market as I’m keen to help my husband trace some family members who had a fruit And veg stall at the market – pre and post war, he used to box as well so wondered if it was the place mentioned above on Neal Street? His name is Jackie Jacobs – can anyone help?